As an ICE 2017 attendee, you’re free to set up your own hotel experience in iconic London. Whether you have a personal or business favorite, want to be on the doorstep of world-class theater, shopping and sights, or prefer quick and easy access to the conference, London can accommodate every need and budget. Choose where you want to stay and make your own reservation. ExCeL London has seven on-site hotels, ranging from budget to luxury, offering 1,600 rooms within walking distance of the venue. An additional 10,000 rooms, from 5-star luxury and trendy boutiques to budget chains and AirBnB, are within 20 minutes commute. 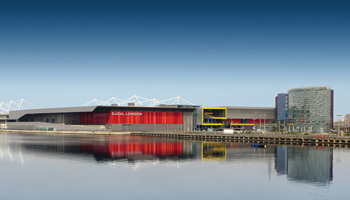 Please visit the Excel London website to find your ideal hotel. Rates, cancellation policies and availability will vary. Early booking is recommended.